← Climate talks and IB education: What is the relationship between TOK and CAS? “Yeah. But what about x?”: counter-argument, or just a tactic of diversion? 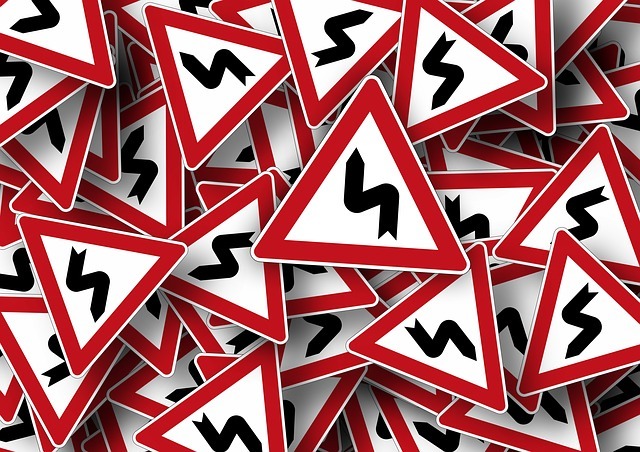 (by Eileen Dombrowski, from OUP blog)We’re all familiar with tactics of diversion – various forms of evading or changing the subject. But journalist Andrew Mueller gives a particularly lively summary of one form in the following podcast: Monocle, The Foreign Desk. November 21, 2015. (starts at minute 10:24.) Vehement, articulate, and somewhat provocative, his four-minute piece could serve to catch student attention to discuss methods of argument. This way of responding doesn’t refute statements, but directs a listener to other situations that hijack interest and sympathy. Express sympathy for one group, for instance, and find it countered, sometimes scornfully, with sympathy for another (possibly their enemy). This reflex that Mueller identifies takes a particular form of either/or thinking, one that denies interest or concern for one issue by trumping it with another. It becomes a device for implying judgment and diverting attention – without ever giving consideration to the issue or arguments proposed. 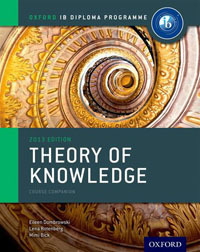 In Theory of Knowledge, we encourage our students to seek out, explore, and evaluate counter-arguments. That is, we want them not to seize on a position and argue for it without thinking about what can be said against it. So how can we teach them to recognize the differences between genuine counters to an argument and tactics meant simply to deflect or divert attention? Below I offer one fairly short activity to encourage students to consider what’s going on in an argument, and to help them “tune in” on counter-positions. 1. Play the podcast clip: “What-about?-ery”. First play the four-minute clip. Scroll ahead in the following podcast to start at minute 10:24. Monocle, The Foreign Desk. November 21, 2015. In context of an interesting podcast on “Paris and the media”, Andrew Mueller’s piece runs from minute 10:24 to 14:30. When is the question reasonable to suggest that a different issue is genuinely relevant and worthy of greater attention, and when is the question little more than a device to silence or distract? If someone running for office is critical of how her opponent has managed budgets, is it reasonable to demand, “But what about your own record? What about that incident last year?” When would you consider this to be a fair question, and when would you consider it to be a tactic of distraction from the topic at hand? It’s likely that students will acknowledge that the “What about x?” question is used in many different ways. It may be appropriate in some cases – such as to call attention to a political candidate’s hypocrisy, or to intervene if a pool of money raised for communal use is being directed without due process to a minor project. It may, however, simply be a verbal tactic to silence people, declare a lack of interest in their cause, or to divert attention to a different cause. Or it may be no more than a verbal reflex without much meaning attached! Involved myself in raising funds for AIDS relief in parts of Africa, I personally encountered a protest from a neighbour recently, “But what about all the people who need help right here at home?” I think I managed to agree up to a point – but to suggest that we need to respond, as best we could, to both. But, although I could be wrong, I think I also recognized a tactic of generic protest against “do-gooding” – and I can guess which one of us also supports the local community services. The way I’d interpret the question “What about x?” has a lot to do with the context and the tone! As soon as we take into account the social context and people’s motives for raising questions and protests, the distinction becomes fuzzier between the question “What about x?” used to claim attention for a relevant issues and the same question used simply to divert attention – or even imply a judgment on the worth of the original statements. What’s the difference between an argument and a counter-argument? What’s the difference between a counter-argument and a tactic of diversion? And clearly, a single activity doesn’t go far to tuning students in on tactics of countering. I’ll be returning to this topic. Enough for today! Now, what about some dinner? This entry was posted in IB Theory of Knowledge and tagged critical thinking, perspectives, reason. Bookmark the permalink.